Garlic is a potent herb often used in cooking and medicinally. If you have a dream about garlic, it can mean a number of different things. 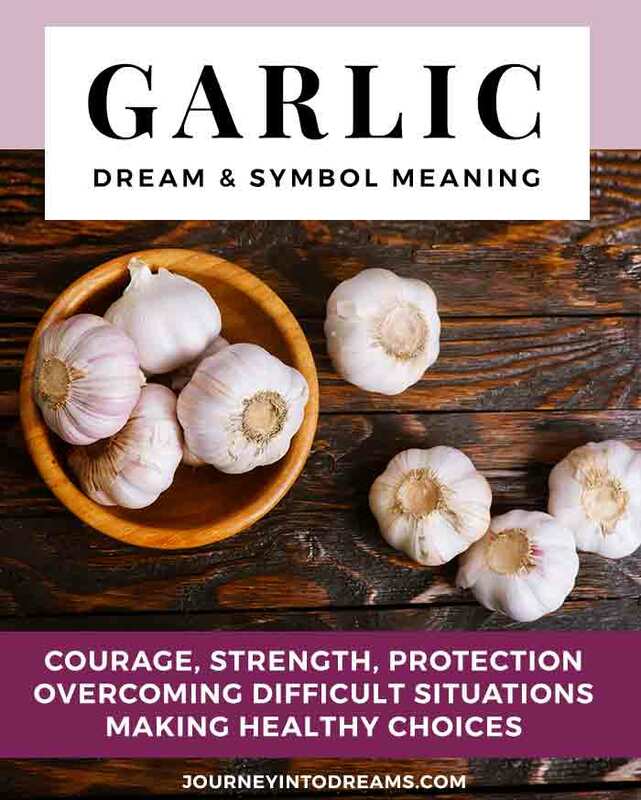 Understanding what the symbol of garlic can mean to you can help you gain insight into a number of things happening in your current daily life! Garlic has a lot of different meanings. Because garlic is a herbal plant, it can signify a number of different things. To truly understand what your dream is about, it is important to pay attention to full details of the dream. Paying attention to things like how the garlic is being used and where you see it can give you a lot of information! Strength and Courage: Garlic is a very strong plant. Dreaming of garlic could be a sign of needing to have courage in a current situation in your life. If you have been feeling anxious about something, garlic could be viewed as a sign that it will be difficult and require a lot of strength, but it will all be okay in the end. Need for Protection: Common folklore used to be that garlic was helpful in warding off evil spirits and even vampires. Do you currently feel like your energy is being drained? Do you feel like you may need protection from something or someone? Is there something or someone you wish was not a part of your life? Desire to Spice Things Up: As a spice used in cooking, garlic is very potent. You may wish that your life is a bit more spicy or interesting. Are you bored with any aspects in your current life? A Sign for Health: It is possible that in a dream that garlic is a message from spirit to explore the potential health benefits of garlic. Garlic has been used in herbal remedies for thousands of years. If you have other signs in the dream that suggest your health could be improved, you may wish to explore into the healing properties of garlic. Cooking: To dream you are cooking with garlic symbolizes that you need to add some flavor and spice to your life. Eating Garlic: To dream of eating garlic symbolizes that you may need protection or are experiencing something very powerful and strong in your current life. Planting Garlic: To dream of planting garlic suggests that you are trying to improve yourself in some way. What events have happened in the past few days that remind you of garlic? Describe the garlic in your dream and ask yourself if there is any situation, person, or aspect of yourself that fits this description of garlic. Do you have any personal associations for garlic? Garlic reminds me of my grandmother, who used to eat whole cloves of it each day. 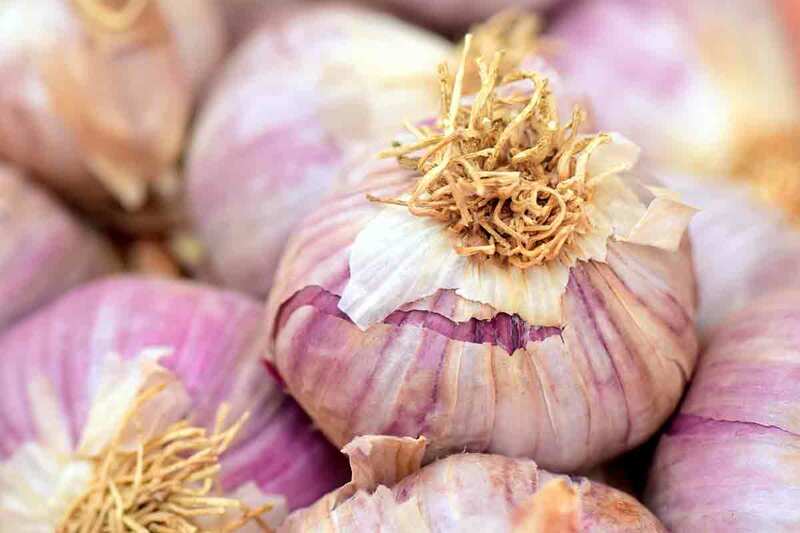 Consider Folklore: Garlic is also known for getting rid of vampires. Are there any people who act like vampires in your life you need protection from? Have any other dream interpretation meanings for garlic? Share your thoughts in the comments section below!